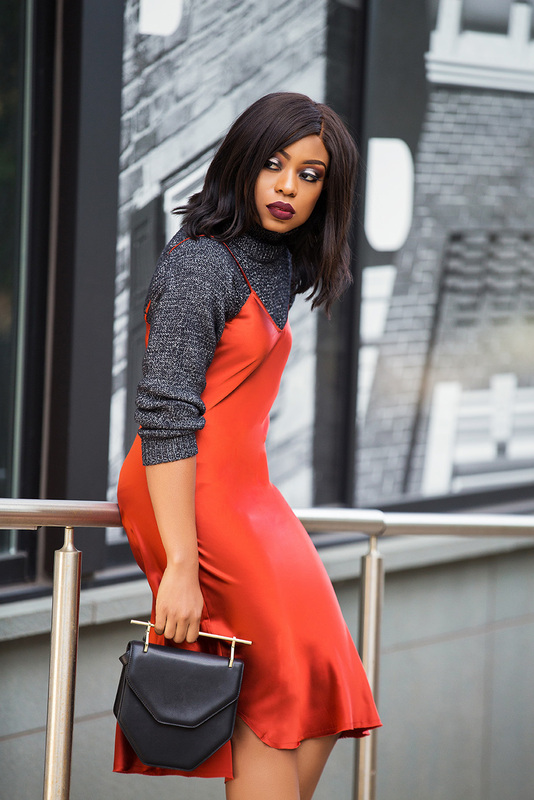 Slip dresses has become one of my go-to holiday looks this season. It's comfortable, feminine and stylish without doing too much. During the warmer days, I have worn my slip dresses styled alone or layered with a tee shirt. Now that it's cold, I still want to incorporate it into the season. 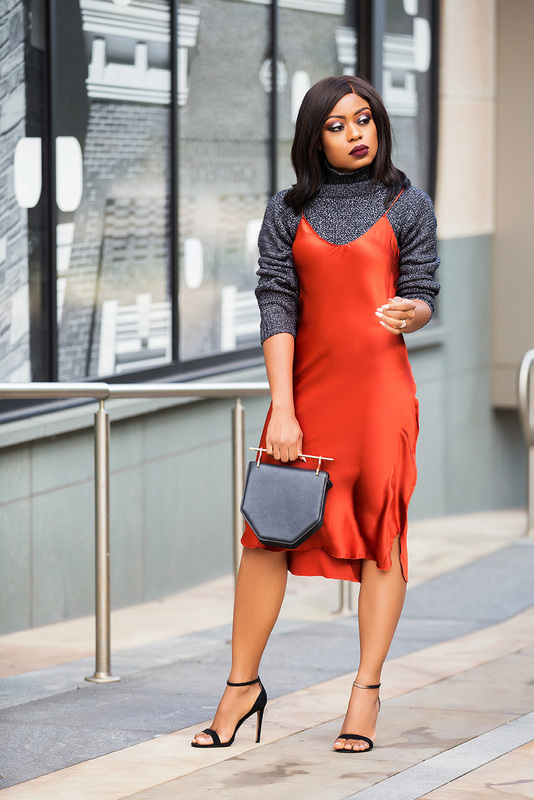 Have you ever wondered if you can wear your slip dresses in fall and winter? Well, yes you can! Slip dresses are not only for summer day. 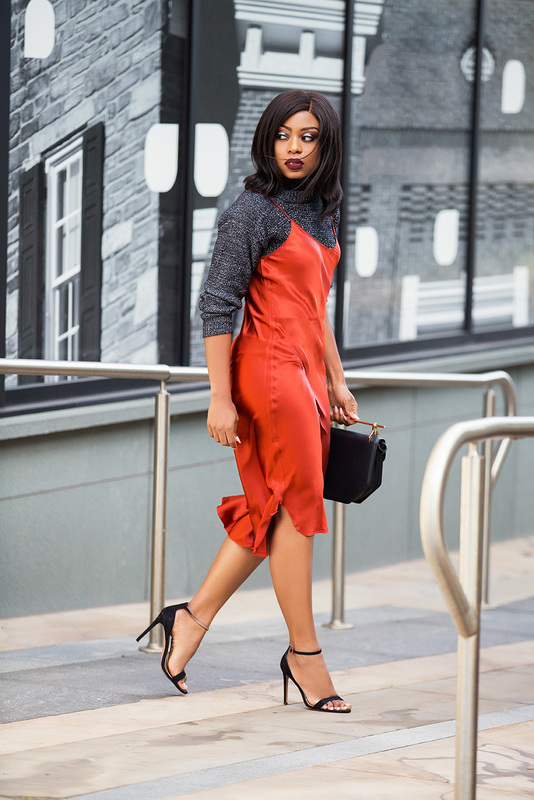 There are so many cool ways to wear slip dresses this fall and winter including with a duster coat as previous worn here. 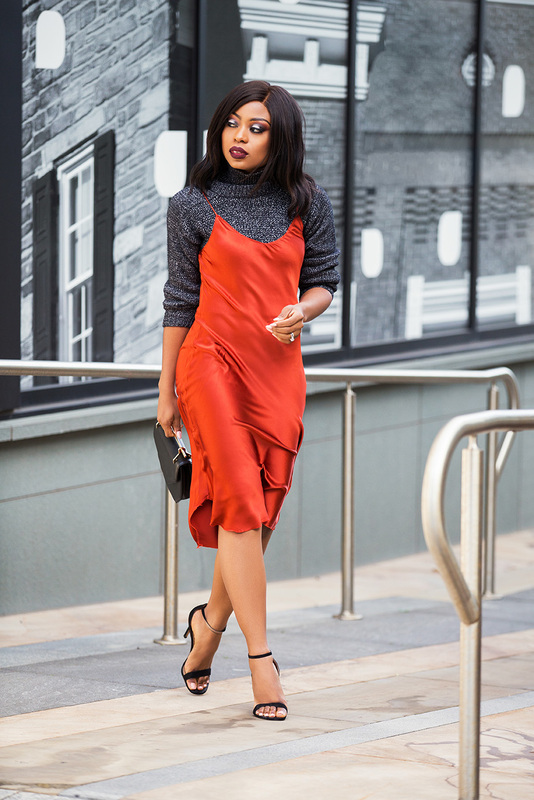 For me, layering my rust colored slip dress makes for a stylish way to show up to a holiday party. Layer the slip dress over a turtleneck or cozy sweaters. Pair it with jeans or pants; for warmth, add a leather jacket, blazer or knit. Add an oversized sweater on top the slip dress paired with ankle boots or thigh-high/OTK boots for a casual feminine twist. Layer with a boyfriend shirt - this will add a classic staple to the look. Balance out the slip dress with a long coat, puffer coat or dusters.